Hi lovelies. 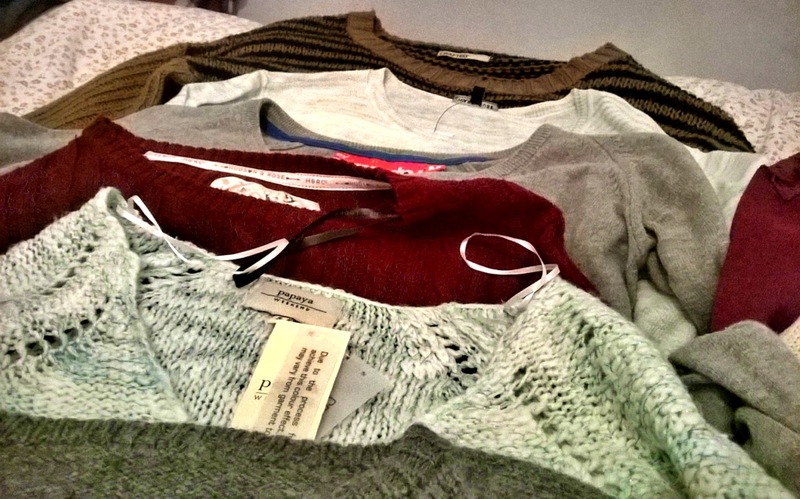 Tonight I have an awful bank balance-afflicting addiction to reveal to you readers; I am a serial knitwear hoarder. 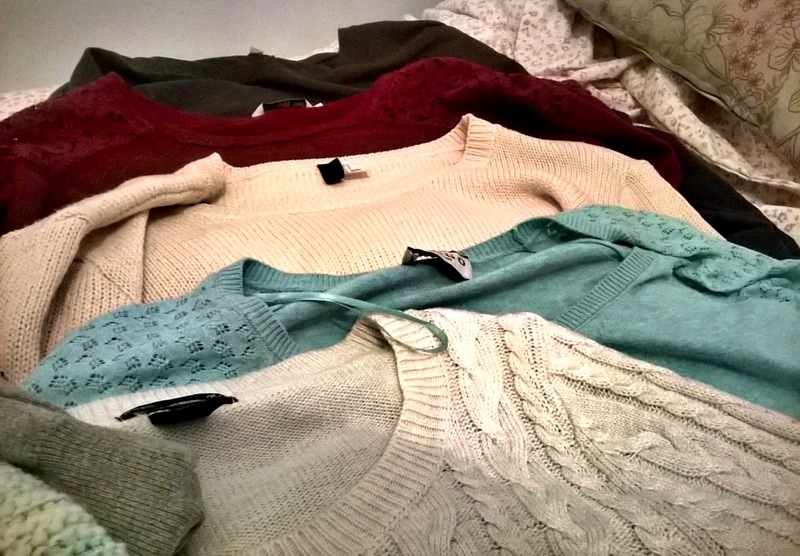 It's so bad that I can't wait for summer to end so that I can snuggle into my stash of sweaters while cradling a vanilla latte. These photos don't even take into account my cardigans and other pull-overs, I believe I will genuinely spend all of this autumn and winter under a sea of jumpers. As you may notice, I am a big fan of blank canvases with my clothes. I despise embellishment or slogans because often the less fussy a garment, the more expensive it looks. I also love the cable knit design, for me it epitomises classic and preppy English style. 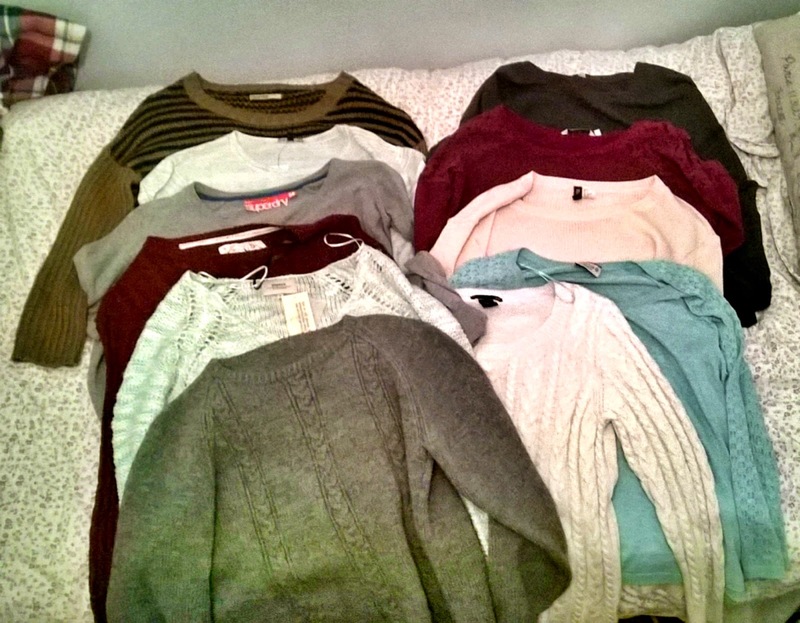 I should feel guilty for the amount of similar design jumpers I have, but I don't because everyone has that one item of clothing in 20 different variations right?